The spread of Pieris rapae across the United States, during the 1800’s, was well documented and is believed to the result of a single introduction from Europe. Back then, it was difficult for scientists to determine exactly where the butterflies came from. Using genetic information from butterflies collected from across the US, we can resolve this question and learn whether the cabbage white butterfly has invaded multiple times and if so, from what countries. We can also look at how well “connected” these butterflies are to each other – that is, are the butterflies in your backyard genetically similar to those from other people’s backyards across the US? 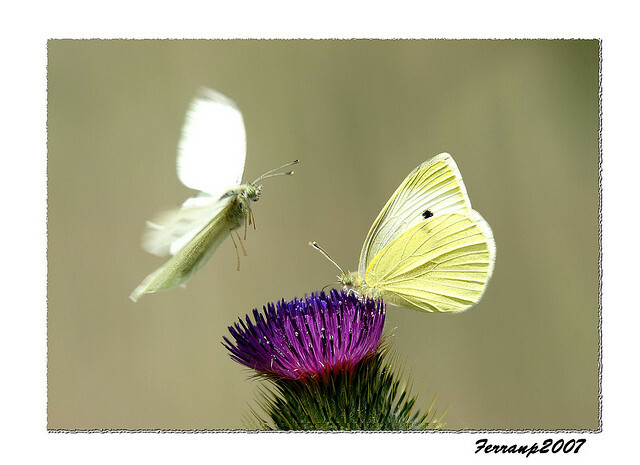 2) How has the cabbage white butterfly adapted (evolved) to the new environments it invaded? Pieris rapae is one of the most successful invaders. To invade different environments, the small cabbage white had to overcome different "pressures," such as changes in climate, varying food sources, and competitors and predators. With the butterflies you send in, we can look for genes that have helped the small cabbage white adapt to these pressures, such as genes involved in adaptation to climate, the detoxifying of plant chemicals (those they eat) and dealing with new predators and bacteria they may be encountering. This information will help us understand how the genomes of these butterflies has been shaped by their environment, including your backyard! 3) How has the "phenotype" (color, shape, size) of the cabbage white butterfly changed as it has moved into new environments? We know that species can change color to adapt to their environment. For example, one way some species may adapt to climate change is by producing less dark pigment (black) so that they absorb less heat from the sun to avoid overheating in really warm climates. With your help, we can use the butterflies you send in to look at how the shape, size and color of these butterflies change depending on where they (you) live. One question we hope to answer is: How does fertilizer application (nitrogen) affect the wing color of the cabbage white butterfly? Cabbage white butterflies have pigments (pterins) in their wings that give them their white color. This pigment is one of the most nitrogen-rich compounds found in the animal kingdom, but nitrogen is often hard to come by for many organisms. Humans however, have been increasing the amount of nitrogen in some parts of the world through the use of fertilizers and from car exhaust ("nitrogen deposition"). We want to know whether this increase in nitrogen is actually changing the color (amount of pterin) of Pieris rapae butterflies. Help us collect cabbage whites from your area so we can find out!